CORVALLIS, Ore. – Corals and the microbes they host evolved together, new research by Oregon State University shows. The findings, published today in Nature Communications, add fresh insight to the fight to save the Earth’s embattled coral reefs, the planet’s largest and most significant structures of biological origin. Funded by the National Science Foundation, the study involved hundreds of samples of scleractinian corals – also known as stony corals – which since their first appearance 425 million years ago have branched into more than 1,500 species. Many of those are major builders of coral reefs, which are found in less than 1 percent of the ocean but are home to nearly one-quarter of all known marine species. Reefs also help regulate the sea’s carbon dioxide levels and are a crucial hunting ground that scientists use in the search for new medicines. Modern corals are home to a complex composition of dinoflagellates, fungi, bacteria and archaea that together make up the coral microbiome. 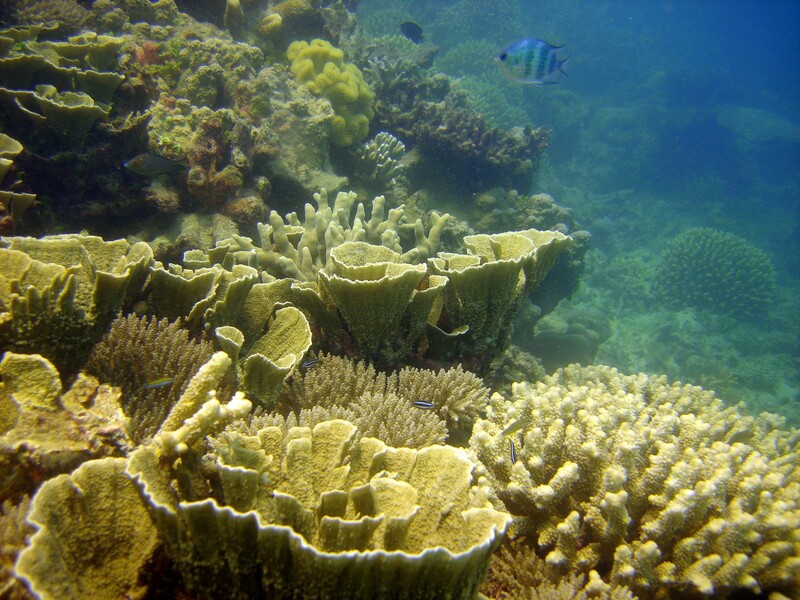 Shifts in microbiome composition are connected to changes in coral health. Vega Thurber and Ryan McMinds, a Ph.D. student in her lab and co-first author of the paper, were part of an international collaboration that also included Penn State University’s Monica Medina and former Oregon State post-doctoral scholar Jesse Zaneveld, now an assistant professor at the University of Washington-Bothell. The massive, computationally challenging research project involved taking 600 coral samples from 21 reefs off the coasts of Australia, spanning 17 degrees of latitude. To do that, the researchers sequenced the 16S rRNA gene. The gene is present in every living organism, McMinds explains, but is slightly different. He likened it to a “molecular bar code” of each organism it belongs to. From there, the scientists could look for patterns between different corals’ microbial communities and determine whether co-evolution of the corals and their microbiomes had taken place. It was something of a surprise to researchers to find that the microbial communities of the corals’ calcium carbonate skeletons showed greater microbiome richness compared to the tissue and mucus microbiomes. Also, the skeletal microbiomes displayed the strongest signal of long-term phylosymbiosis – a pattern in which the diversification of a related group of host organisms correlates with changes in dissimilarities among their microbiomes. Contributing to this study were researchers from James Cook University in Australia.